Preheat oven to 350°F. Bring a large pot of salted water to a boil. 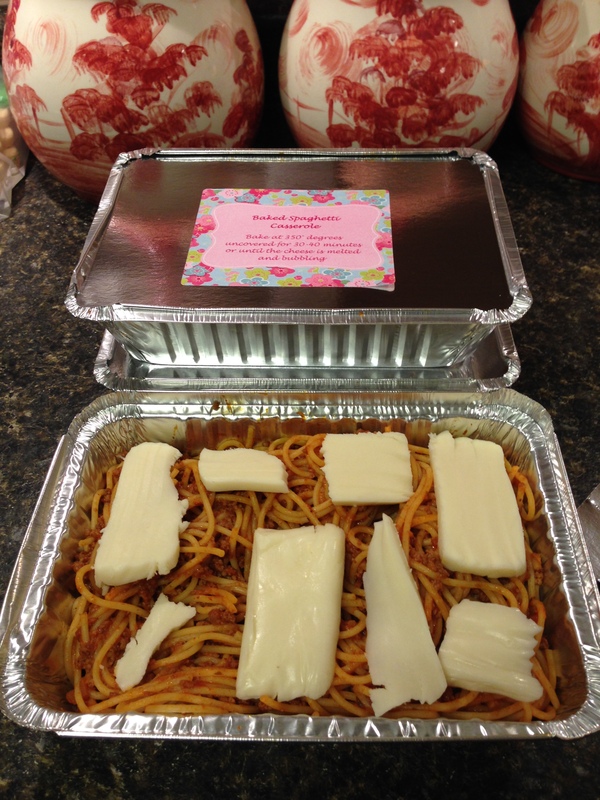 Add the spaghetti and cook according to package directions; drain. In a large Dutch oven, heat the oil over medium-high heat. Add the beef; cook about 5 minutes or until brown, breaking meat up with a fork as it cooks. Add the salt, oregano, black pepper, and red pepper flakes. Stir in the spaghetti sauce, Parmesan, and the cooked spaghetti. Transfer to baking dish. Top evenly with mozzarella. Bake for 30 to 40 minutes or until the cheese is melted and bubbling. This freezes great!! I like to make up several small container for quick lunch and suppers.